After his group vice presidency and directorship at General American Transportation Corporation, William Townend Ylvisaker (1924-2010) joined in 1967 Gould-National Batteries, Inc. as chairman and CEO. 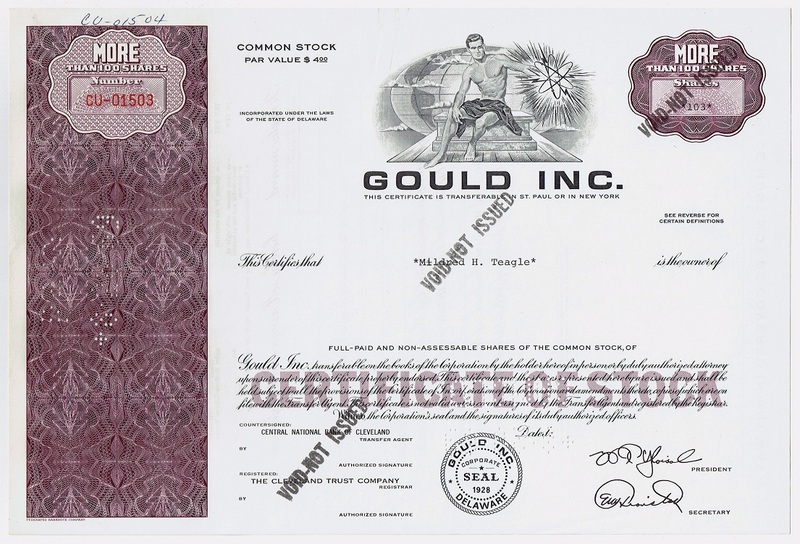 Through a series of acquisitions, he turned Gould, a battery manufacturer, into a $2 billion computer and technology conglomerate. In 1979 an attempt failed to acquire Fairchild Camera and Instrument Corporation and Mostek Corporation, both important semiconductor companies. But in 1981 Gould succeeded in taking over Systems Engineering Laboratories, a computer maker, and American Microsystems, Inc., a maker of custom semiconductors. Ylvisaker resigned from Gould in 1986. As a student Ylvisaker served as captain of the polo team at Yale University and remained active in polo throughout his life. He became a top amateur player and won several polo championships. In 1967 Ylvisaker co-founded the Polo Training Foundation and served as its first Vice President. He helped establish the World Polo Championship, developed the Palm Beach Polo and Country Club (with funding of Gould) and was Chairman of the US Polo Association from 1970 to 1975. Ylvisaker was included into the Museum of Polo and Hall of Fame in 1996.